2. 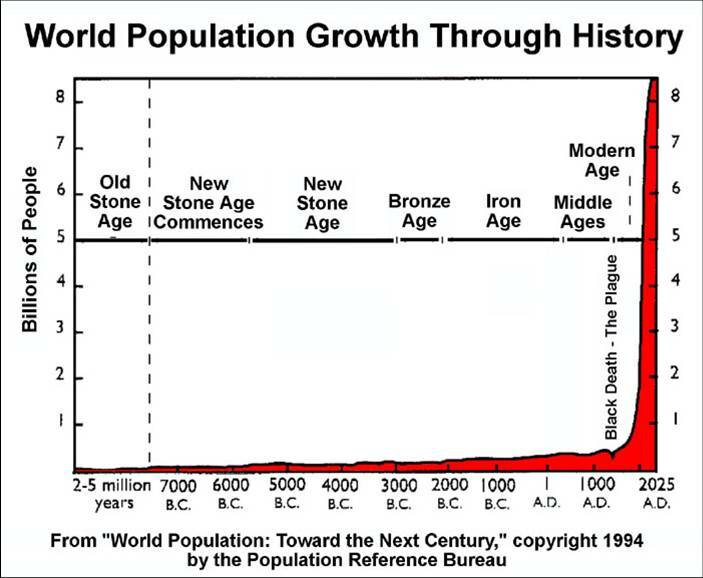 Full scale image shown of: World Population Graph year Pre7000BC to 2025AD metalAges. Picture Category: HumanOverpopulation Science .